If anyone involved in Sapphire real estate were to try to pick a word to characterize the mortgage industry as a whole, “sentimental” wouldn’t be among them. Especially over the past several years, “frustrated” might be apt, or “hog-tied.” Mortgage issuers been hampered by tough rules developed in reaction to the sub-prime mortgage mess. 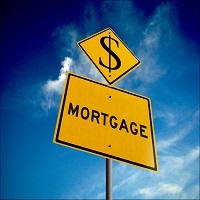 They certainly wanted to issue more mortgages, if only for their own profitability, but until recently, the lending guidelines made that difficult. So when the powers-that-be at Fannie Mae come out each quarter with their Mortgage Lender Sentiment Survey, the “sentiment” is not the Cry Me a River or You Are the Sunshine of My Life variety. This “sentiment” describes how real estate lenders (presumably including some Sapphire mortgage companies) feel about mortgage business prospects in the coming months. The actual report has a remarkable record of a lack of sentiment: it’s usually pretty much on target. If the growth they anticipate holds true for our own market, it wouldn’t just indicate improving activity for Sapphire home buyers and sellers. After what they viewed as an “uneven” 2014, Fannie Mae’s Chief Economist Doug Duncan said the results were “consistent with our view that an improving economy, strengthening employment, and increasing consumer confidence” pointed to the more cheerful outlook.